Smash Studios, NY – 2015. After only a few days of its Premiere "Cops X The Jury" has already received over 20, 000 hits, a sold out performance and loyal fans talking about the brilliant concept behind the single. This single give's listeners a wild and energetic bounce that you didn't experience with Devyn's first hit single "Falling 4 U". As a matter of fact, this is totally the opposite, as it spoke of falling in love. Well Cops x The Jury is the brilliant sequel of a bad break-up. With her charismatic appeal, clever concepts over record breaking swagged out beats, Devyn Rose is definitely an artist to keep on your radar. She is being said to be the female version of who some call the mental giant, but others know him as Tech N9ne. Is it by fate or a coincidence that they share similar musical inspirations, particularly Bone Thugs N Harmony; do I see a possible collaboration in the future for these two? It received rave reviews from Skope Magazine and a feature on Tunecore for its unique vocal performance and style. 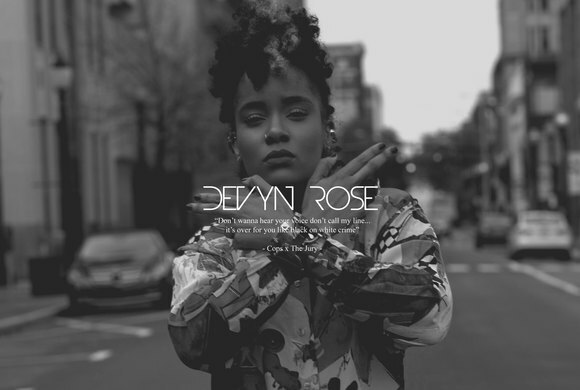 "Devyn Roses voice is as smoky as it is smooth. 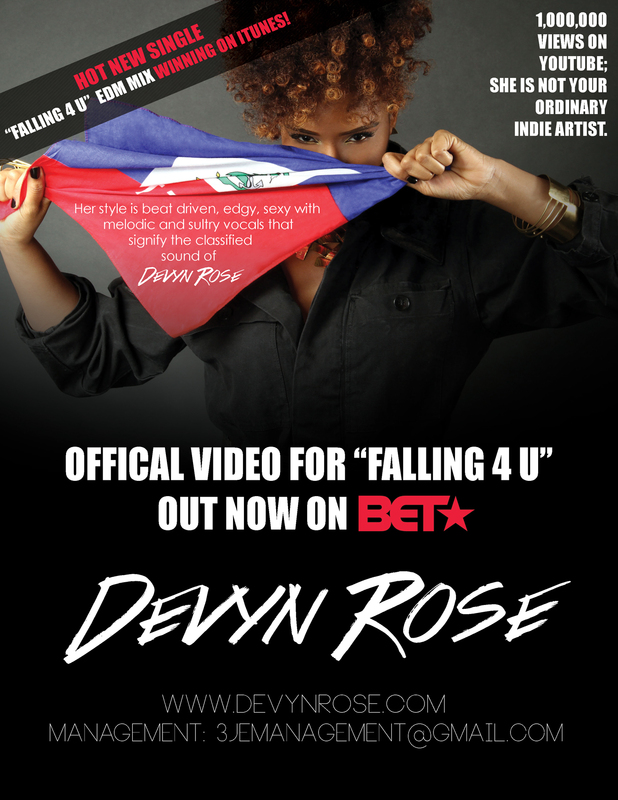 While comparisons might be made with Rihanna & Beyonce, Devyn is doing something that is entirely her own thing and at under three minutes long, Falling 4 U manages to establish her skills quickly and effectively". Devyns distinctive tone began attracting a larger listening audience in 2014, when it was chosen for the Emmy Awards gift bag presentation, which inspired her to release an energizing EDM Mix by Grammy Nominated Producer: D-Moet of Hip Hops Classic: Hate Me Now by Nas feat. P. Diddy. An acoustic version of Falling 4 U was later released and attracted the likes of some radio programs in the U.K. The video caught the attention of BET Networks and is now in rotation on Centric TV. Devyn continues to perform locally and abroad promoting her music and the response she receives from her adoring fans keep her passion lit and her music going.